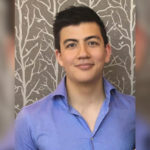 HALO strives to walk the talk as we seek to include more activity into our workday. Our current workplace’s meeting rooms are quite busy and so we decided to create “Walking Meeting Rooms”. This was setup to be booked through our Outlook system, and included some pre-determined maps for various lengths of time. Staff are encouraged to book these rooms with the indication of length (they can choose to map their own routes as well) whenever possible. 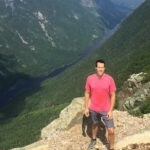 Why not take it outside today! We’ve included some of our “how to” files below with respect to bookings via Outlook (feel free to modify as you see fit). 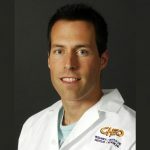 For more information, please do not hesitate to email us at info@haloresearch.ca. 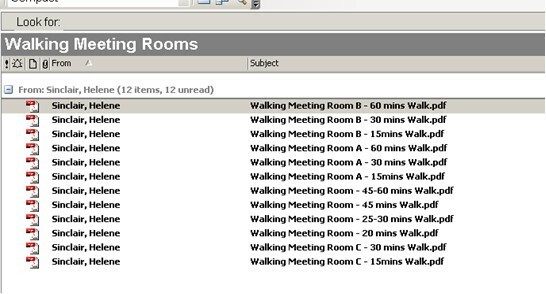 Choose a Walking Meeting Room path from the list of maps. 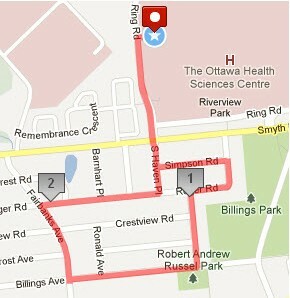 You can find these maps on CHEO Public Drive in “L:\Walking Meeting Rooms” folder. 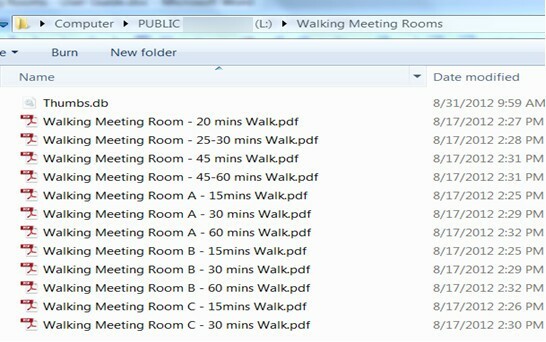 Or, in your Outlook Public Folders\All Public Folder\Walking Meeting Rooms folder. Select the WM Room you want to book. You can add the room as Required Attendee. Add other attendees. 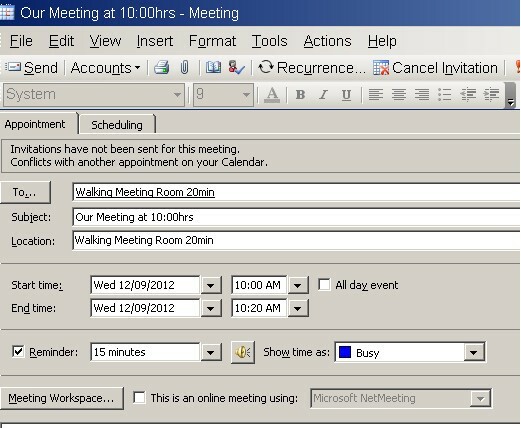 Add subject to the meeting request. 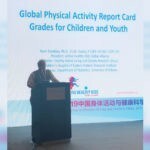 The subject will stay with your invitation in Attendees calendars. 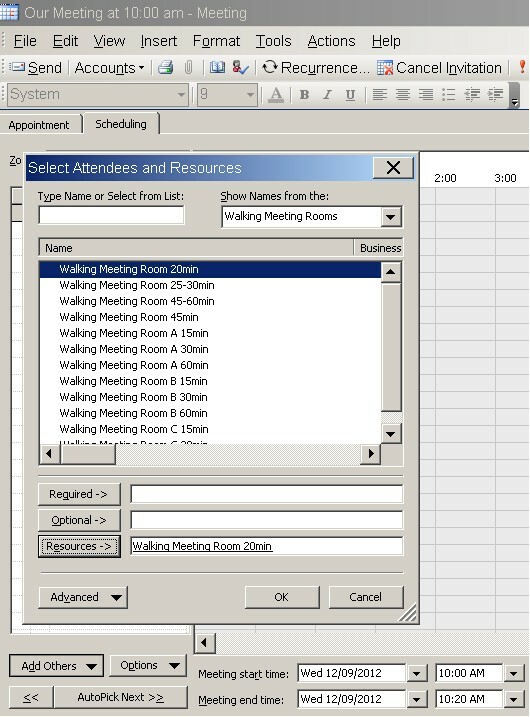 The room calendar will display only your name in the subject field. Send your meeting request. Walking Meeting Rooms will ignore any booking conflicts always accept your meeting request. The text in the body of the reply e-mail has a note on the location of the booked room map file. 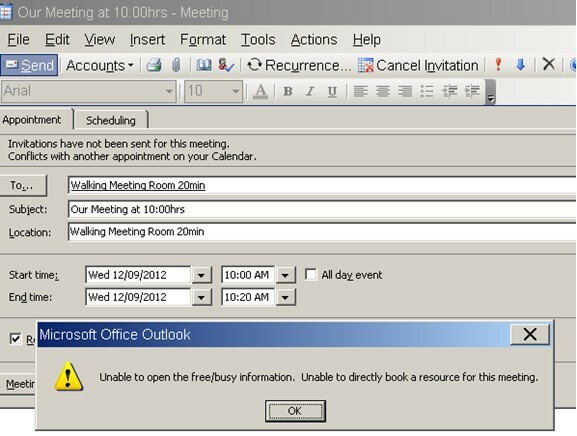 Please do not book the room as a Resource in Outlook 2003. 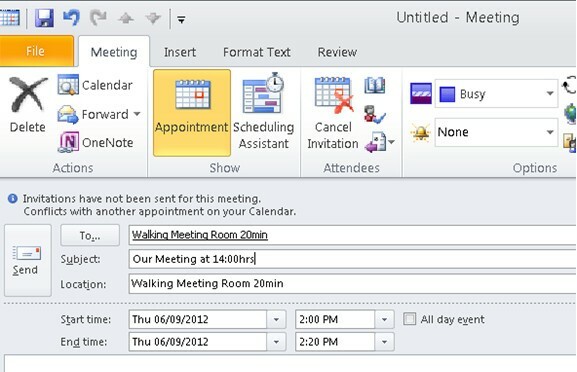 If you later decide to change the time or cancel the meeting you will receive Microsoft Office Outlook error and the system will not allow you for the action. Select the WM Room you want to book. You can add the room as Required Attendee or as Resources. 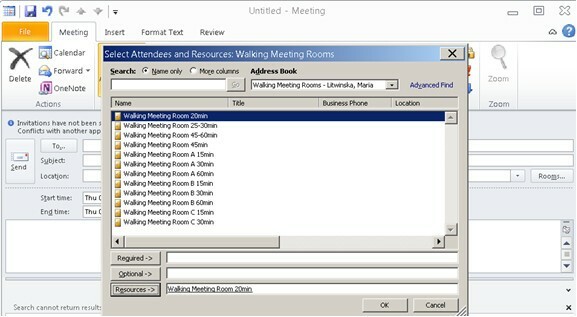 If you add the room as a resource – the Location in the meeting request will be automatically filled with the Walking Meeting Room name. Send your meeting request. 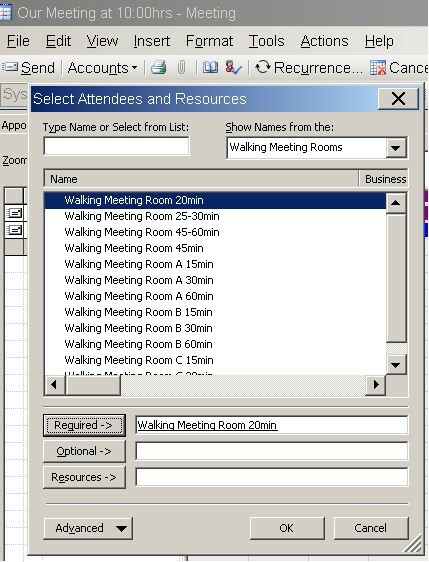 Walking Meeting Rooms will ignore any booking conflicts always accept your meeting request. The text in the body of the reply e-mail has a note on the location of the booked room map file. 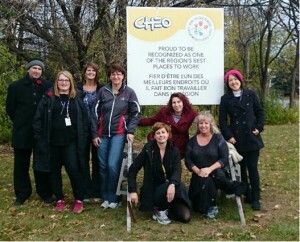 The first official group walk took place on Monday, November 2nd, 2015. Walks occur regularly on Mondays at noon (meeting outside of the main doors of the cafeteria hallway – leaving promptly at 12:00pm). We walk this route (pictured in the map below) which is about 35mins. 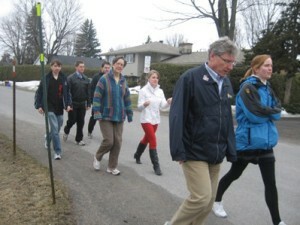 Everyone is welcome to join – and you walk at your own speed. We’ll be mapping out some alternate internal walk for when the weather is not conducive to an outdoor walk. Feel free to join in. 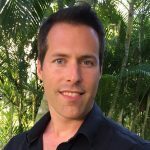 Monthly meetings including some guest speakers are posted on CHEOnet.